My first thought when he said this was – Are you nuts? Don’t you know you never ask for something like this? It’s like praying for patience. But that’s why he is who he is and I am who I am. I would never pray for such things, or at least not so directly. President Eyring goes on to say that within a couple of days his prayer was answered. He doesn’t say what particular mountain he was given to climb, only that it was tiny compared to what he would face later in his life. So why does the Lord give us mountains to climb? I grew up in Colorado, so I’ve hiked a mountain or two or three or more in my day. It isn’t easy, but not only is there a great sense of accomplishment when you reach the top of your destination, but there can actually be great joy along the way. There is sublime beauty to be enjoyed on those mountain trails. I especially remember those that I made the journey with. One of my fondest memories was a hike with my dad when I was sixteen years old. We were hiking above Gunnison, Colorado, for an overnight camping trip. We were with a group of several other people, but my dad and I ended up at the front of the group all by ourselves. My dad battled alcoholism for as long as I knew him, so our relationship was at times very rocky. Dealing with his addiction was one of my mountains and a mountain he never overcame. But on that beautiful summer day, I had with me a sober man that I loved. We were able to talk in a way that we rarely could. I remember feeling so loved that day. It is a cherished memory, especially since he would die from his addiction a few short months later. Another mountain that had to be climbed. I look back at the physical and figurative mountains I had to climb as a youth and I can see the growth that I obtained, the skills that I learned, and most importantly, the faith that I grew. Why must all experience sadness and tragedy? Why could we not simply live in bliss and peace, each day filled with wonder, joy, and love? The scriptures tell us there must be opposition in all things, for without it we could not discern the sweet from the bitter. Would the marathon runner feel the triumph of finishing the race had she not felt the pain of the hours of pushing against her limits? Would the pianist feel the joy of mastering an intricate sonata without the painstaking hours of practice? The Lord needs a strong people. He needs people willing and able to climb mountains. And most importantly, he needs us to be able to help others in their journey over the mountains. I look back at my trials and not only did they help strengthen me, they have in many cases been able to give me insight to help others in my callings or with family and friends. I know I’m so grateful for those that have helped me on my journeys up my mountains, their wisdom and strength have kept me moving. Though I may never ask for mountains to climb, I’m thankful for a loving Heavenly Father that has seen me up and over them. 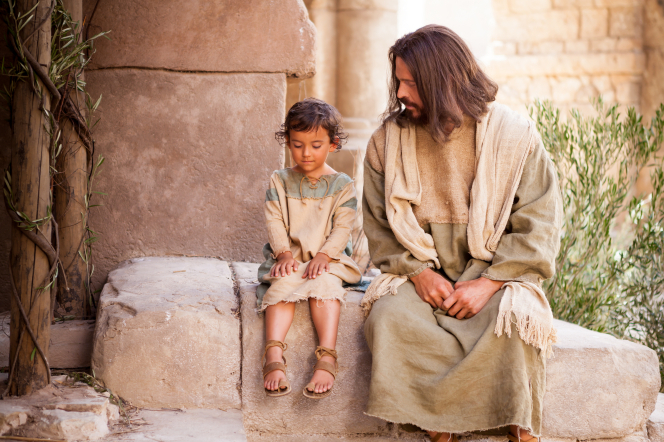 I’m thankful for the guides and helpers he has sent along the way. I’m grateful for the opportunities I’ve been given to help others along their way. Most importantly, I’m thankful for a Savior that knows each mountain and hill I have to climb and for his perfect and divine aid. Beautifully said. I’m like you. I know I will have mountains to climb (and already have), but I’m not wanting to pray for more yet to come. But I wouldn’t trade the lessons I’ve learned from climbing the ones I’ve had to in my life for any treasure in the world. I just hope to have faith to climb the next ones without whining. I definitely don’t want more mountains to climb–even though I can see the growth that comes from doing so. I think my entire life has been filled with climbing uphill, but then that’s why we’re here. Wonderful post. I love your thoughts on this. What amazing faith President Eyring has to ask for a mountain to climb- wow!